The Bornean Sun Bear Conservation Centre (BSBCC) is aiming to raise RM500,000 to partially fund the construction of a second bear house before the Centre is opened to the public early next year. Part of the money raised will also go to creating a one hectare enclosure for the new bear house, and to meet this year’s operational costs to sustain the Centre that started in 2008 with seven rescued Sun Bears and which now provides refuge to 28 bears. A fundraising dinner will be held on July 20 at the Hakka Association Hall here almost five years after a similar event in Kota Kinabalu in which RM1.3 million was generated for the Centre including the construction of the first bear house. BSBCC chief executive officer and founder, Wong Siew Te, said this year’s operational and construction costs run into RM2 million and that despite commitment of generous donors, the Centre needs to meet shortfall in expenses. “We appeal to Malaysians, especially the Sandakan business community to support this fundraiser. We believe that by doing your bit, and attending the event, you will be able to better understand the significance of Sun Bears and the types of threats that this species faces. “This Centre is the first and the only facility of its kind in the world. We are the only facility that does rescue, education, research and rehabilitation, and we should be proud that the Centre is located in Malaysia, and specifically in Sandakan,” Wong said in a statement to announce the fundraising dinner. The Centre, located next to the world-famous Sepilok Orang Utan Rehabilitation Centre, is also close to the increasingly popular Rainforest Discovery Centre. Habitat loss, poaching for parts used in traditional medicine and the pet trade are among key threats that have led to a decline by at least 30 per cent of the Sun Bear population in the last three decades. Sun Bears are the smallest of the world’s eight bear species. 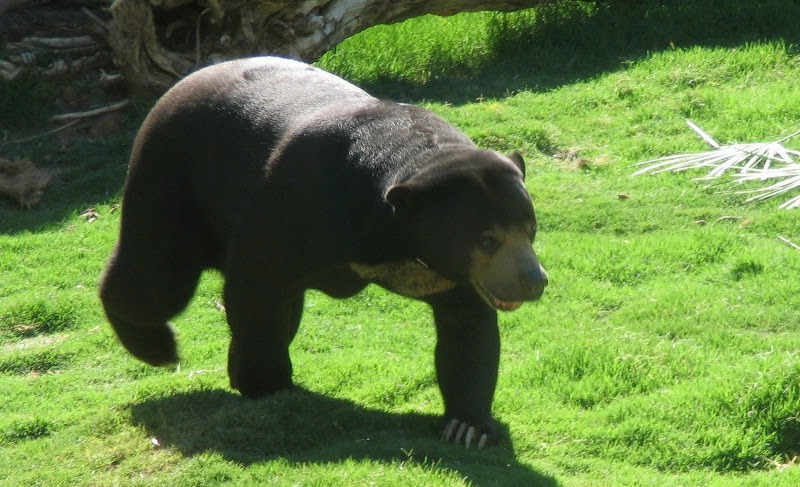 Sun Bears are also classified as a Totally Protected Species under the Sabah Wildlife Conservation Enactment 1997, providing it the same status as Orang Utans and Sumatran Rhinoceros. Prior to the setting up of the Centre, Wong said Sun Bears were kept illegally as pets while confiscated bears were housed at a government facility. He said the Centre provides care and a chance for Sun Bears to learn what it is like to live in the forest by accessing an attached natural forest within an enclosed area. Wong said an observation platform and boardwalk were completed last year, and the Centre was poised to become an important education and awareness facility, and could additionally serve as an eco-tourism destination. He said the Sime Darby Foundation, the Sabah State Government including the Sabah Ministry of Tourism, Culture and Environment, Ministry of Tourism Malaysia, and several foreign organisations and zoos in the United States were among generous agencies that had contributed towards the Centre’s development. The event is supported by the Sabah Tourism, Culture and Environment Ministry and the main sponsor is Sabah Hotel, which is creating a unique banquet menu. Other sponsors include CPL Printing, Jonathan T Gallery, IM Magazine and Merdeka Daily News. Hopefully they manage to get the fund.